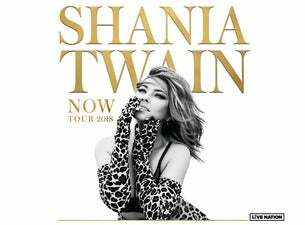 Performing her first EVER New Zealand shows, the world’s top-selling female country artist of all time, SHANIA TWAIN, has announced her NOW Tour will hit our shores in 2018. In celebration of Shania’s #3 album – she brings her NOW Tour to Auckland’s Spark Arena on December 18 before heading South to Dunedin’s Forsyth Barr Stadium on December 22. Tickets for all shows will go on sale at midday on Friday, February 9. Shania is a five-time GRAMMY Award-winner and the reigning Queen of Country Pop, with more than 90 million albums sold worldwide. In New Zealand the September 2017 release of NOW debuted at #3 on the RIANZ album chart, following 2002’s UP! and 1997’s hugely successful Come On Over. Hitting #1 in 1999, Come On Over spent 23 non-consecutive weeks at the top spot amassing sales in excess of 21-times Platinum. The album is home to four hit singles: “You’re Still The One”, “From This Moment”, “That Don’t Impress Me Much” and “Man I Feel Like A Woman”.